am writing on behalf of Barnet Trades Union Council to report on our activities and ask your union branch to affiliate for the new year. For our trades council, 2018 has been dominated by one crucial issue: the crisis of outsourcing giant Capita amidst the collapse of similar companies, starting with Carillion. Carillion’s demise set the stage for a renewed offensive against Tory outsourcing in our borough, and thanks to strong solidarity from the shadow chancellor, we set about gaining support in our communities for kicking out Capita from Barnet. 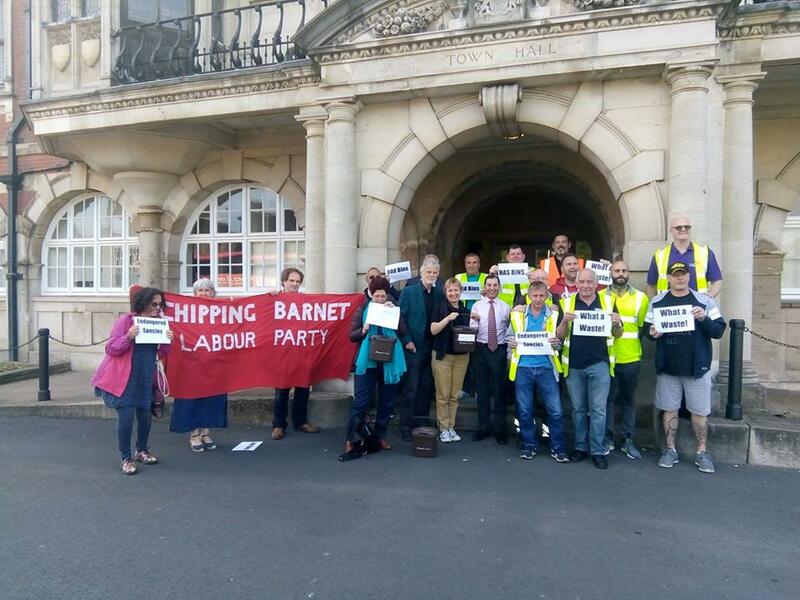 Barnet TUC activists succeeded in passing motions calling for outsourcing to be reversed in two out of the three Constituency Labour Parties in Barnet and participated actively in Labour’s local election campaign. Unfortunately, Barnet, like a lot of the country, did not have an election with a strong local debate about austerity and simply did not see the turnout we needed. To our deep disappointment, the Tories won the local council yet again. Their victory, however, was soon to be marred by issues that resulted from their own failed policies. 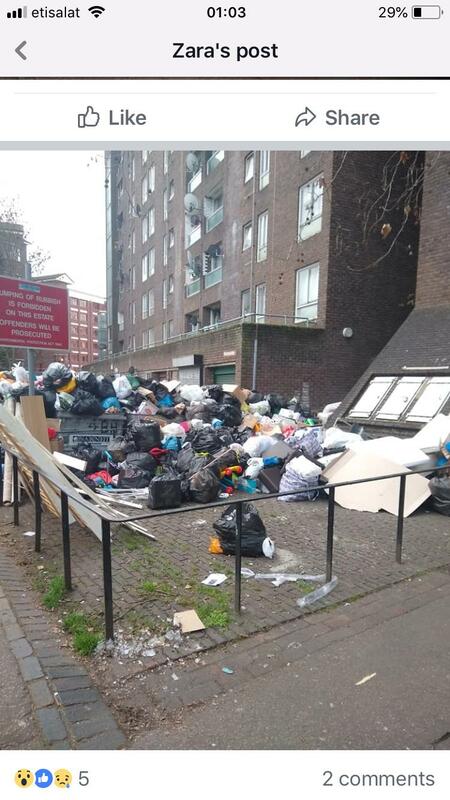 A particular irony is that they had significantly gained votes last minute by claiming that Labour would not protect bin collection, only for them to cut this themselves due to their own inadequate refuse policies – an issue we had been campaigning on in February! We didn’t mourn after the election, we organised. 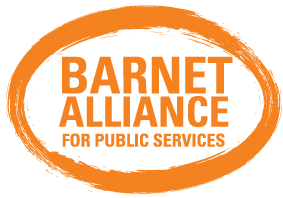 We got John McDonnell to come to Barnet to relaunch the Barnet Alliance for Public Services (BAPS) as a non-partisan campaign to #kickoutcapita. The launch meeting in May was a huge success and we mobilised both at council meetings and Capita’s AGM. The tide of opinion was clearly turning against both the Conservatives and Capita by June’s Policy and Resource committee of the council. We continued the pressure as the year went on, having an excellent (and star-studded) public enquiry at Parliament on the 6th of November. Events moved quicker even than we expected, as it was exposed that Capita’s hopeless culture of corporate unaccountability had enabled an employee to commit a massive fraud. Barnet Council was forced to conduct an enquiry, then did not want to make the findings public. We demanded and succeeded in getting them to reverse this decision. We saw the year out by doing pro-public services carolling at Hendon Town Hall, ready to keep going next year and until we force Barnet council to reverse the disaster of outsourcing. In February, we organised solidarity collections for striking higher education workers. Also in February, we started a campaign to highlight the Tory council’s neglect of bin and rubbish collection services, months before this became a borough-wide scandal (as mentioned). Again in February, we petitioned alongside our postal workers to save North Finchley post office. In March, Jeremy Corbyn was able to highlight our struggle over Capita in a question in Parliament. In May we mobilised solidarity with hospitality workers striking to organise their sector, as well as for the TUC demonstration. We delivered large delegations for the NHS 70 demo in June as well as for the counter-demonstration to the far-right lead by “Tommy Robinson”. In September we worked with BAPS to have an excellent public meeting with the London Renters Union and Grenfell activists on housing. Also in September, we stood in solidarity with the Cricklewood Islamic centre after a shocking racist attack. In October, we supported the McStikers once again up the road from McDonald’s headquarters in Finchley. On the 20th of November we mobilised for the for the March for Education. Throughout the year we had a presence at the monthly Grenfell Silent Walks. Information about more our activities is available on our website. 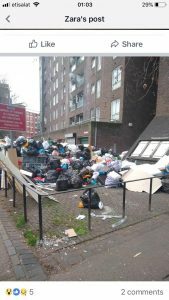 Colindale’s Labour Councillors have expressed outrage after images on Facebook showed heaps of uncollected rubbish on the Grahame Park estate. Bin collections in Barnet have been severely disrupted since new rounds were established by Barnet Council on 4 November. The rubbish has finally been collected this week, but other estates and households across the borough are still not being collected on the correct days. The four political parties, plenty of questions from more than 120 High Barnet residents. Question from the Barnet Society Chair: What about empty residences in Barnet – approx 4,000 of them are “long term empty”? Questions from the public showed concern about homelessness, high rents and unaffordable homes. The Conservative comment from their woman representative, was that “the law needs to change. We have to house homeless people – it is statutory,” she said in relation to a question asking how it is right that we spend £25 million on providing emergency accommodation. Amy from Labour refuted. She spoke about The new London Plan recently published by Sadiq Kahn, giving alternative ways to provide affordable housing. Paul Edwards added that between 40% and 50% of social housing will be expected from developers because there will be the political will to negotiate this if Labour win. Developers reap profit from being allowed to supply the housing market, where in Barnet £400,000 is considered affordable and some units sell for a million, showing scope for the developer to afford to build social housing on site. Rental provides housing revenue to maintain rather than sell the social homes. Ways to use building apprenticeships under supervision to build self builds with the involvement of those who will be living in them. Pre-fabs were discussed as viable and realistic. Council to take over empty properties and rent them out. The rental is then paid to the property owner. The Council presumably fix the rental so it is a social rental rather than market rental. The policy is “renovate not demolish”, with zero VAT on home renovation. Robin Bishop, expressed concerns that the 32 London Boroughs have targets to build homes with density now abolished apart from in “conservation areas”. Robin and Nick from the Barnet Society showed concern that the new Labour London Plan would mean 3,300 new homes in High Barnet and Underhill by 2025. Robin suggested to the meeting, that the next Council administration could draw up it’s own targets rather than following the new London Plan, in view of the 27,000 new homes across Barnet that the Conservative Council set as their own target and which is being met. Paul Lemon, labour candidate for High Barnet, talked about improvements to transport if both the London Assembly and Barnet Council were Labour. Electric charging points paid for by the Mayor will make a start towards alleviating air pollution. Integrated transport hubs/tram/light rail, suggested. East to West transport links are poor. The same number in High Barnet commute to work in Hertfordshire and beyond, as commute to work in central. Cllr. Longstaff suggested Barnet Hospital build another layer of parking which could benefit those coming to Barnet. He said CPZ’s are always only after consultation. 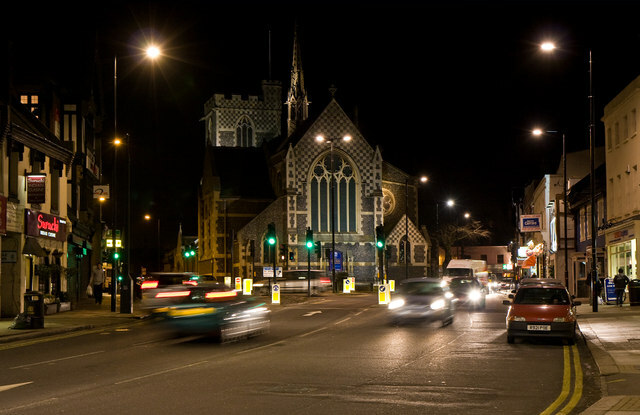 Barnet currently makes between £5.5 M and £6 Million per year from parking charges and fines. Trains from Finchley to High Barnet have been cut. Lorries should be kept out and pay to come into our towns was popular and received applause. In general the audience felt there was a lack of vision from the panel. That we need to create reasons for people to come to this destination. Walks in the woods, Barnet museum, Theatre space, community events around food, music and culture was suggested. Spaces to sit with cover from wind and rain was suggested by Lib. Dems. The Lib. Dems. spoke strongly in support of library staff and building libraries back. Cllr. Longstaff said we are lucky because some boroughs they have closed theirs where as Barnet, he claimed, have kept ours going, increased stocks of books and built two new libraries! Residents challenged on this as did the Lib. Dems. Recreation, was raised – before QE girls became an Academy, the community could use the swimming pool, trampoline and other facilities. Recreation can bring people here and serve us. 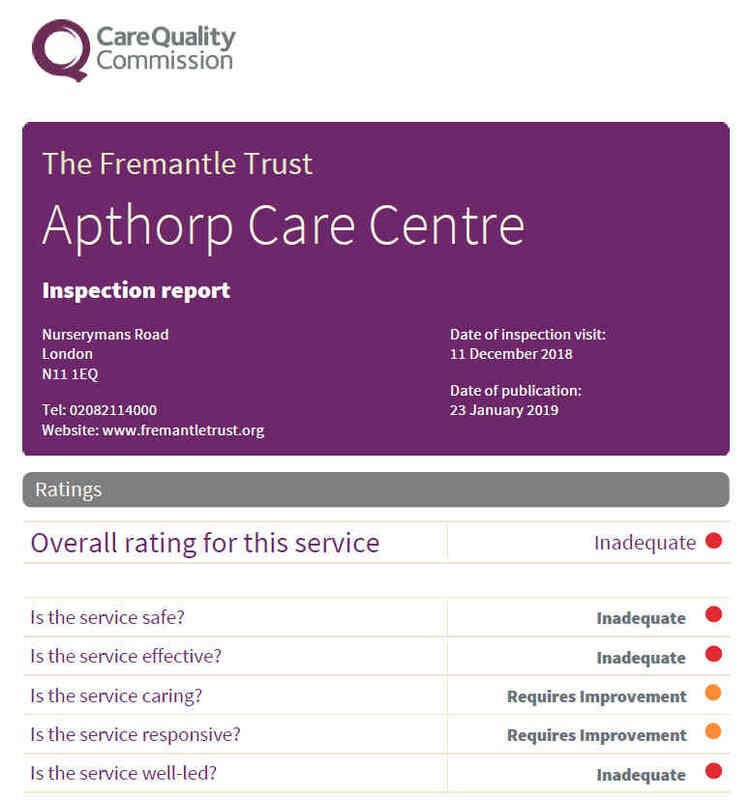 Residents were concerned about the number of eating places, betting shops and charity shops. Shops that sell craft and hobby things such as “Hobby Craft” could be approached and invited in. 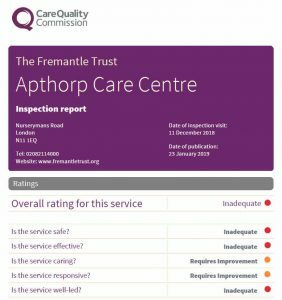 Capita Contract was brought up. Cllr. Longstaff, standing in High Barnet for the Conservatives, stated that Council Tax would need to rise by 4% if services were brought back in- house. Some thought the “litter police” should be catching more people. On the whole, the event will hopefully lead to more ideas to maintain our High Streets – maybe a toy library/toy exchange with space to play chess/ board games, as a way of using an empty shop (instead of creating another charity shop). Strong support for markets. The teenage market had been successful but not sure if that can continue now that the land that Barnet market was held on, has been sold. Socially Useful Production? 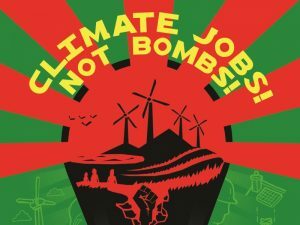 1st TUCJCC renamed it Defence, Jobs and Diversification then sent it to TUC Congress 2nd It was accepted onto agenda and heard on Tuesday 12th September PM. The motion is now the property of the General Council and has been referred to the TUC Economic and Social Department for Action. Their first action will be to consult with those Unions directly affected-we’ll keep you updated with any progression. Those Trades Union councils covering the area of the BAE job losses already announced to contact the Unions involved and ask how they (and we) could help (if not already involved). The TUCJCC regional representatives will raise within their own Regional Executives the wider issue of potential job loss within the wider supply chain industries. affiliate could encourage both the TUC and Labour Party to act on it. 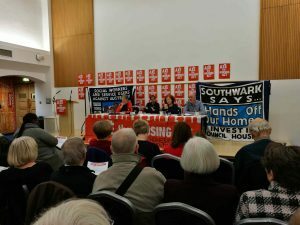 Last weekend, we had the excellent initiative of having a specifically trade union and labour movement conference about anti-racism was held in London. Delegates from Barnet TUC went along. The day itself, of course, also happened to be the day of further protests against the most racist (to say nothing of also sexist and authoritarian) president of recent American history, Donald Trump. SUtR organisers quite right cancelled the morning session to allow us all to join around 40,000 other people on this lively and important demonstration, and it put people into the right frame of mind for the day. The opening session contained greetings and introductions from a range of trade union speakers. 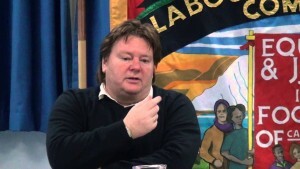 Ronnie Draper, general secretary of the of the Bakers’ Union, spoke about how his union was combating the myth that immigration, rather than employers, are the cause of low wages. Suzanne Matthews of Unite the Union spoke her work organising black workers with the TUC. Janet Maiden from Unison Health spoke about NHS workers defending the ideal of multiculturalism. The conference then split into three workshops: one on Brexit and Workers’ Rights, one on building solidarity with refugees and a third on the threat of the Prevent policy. I went to the refugee solidarity session. 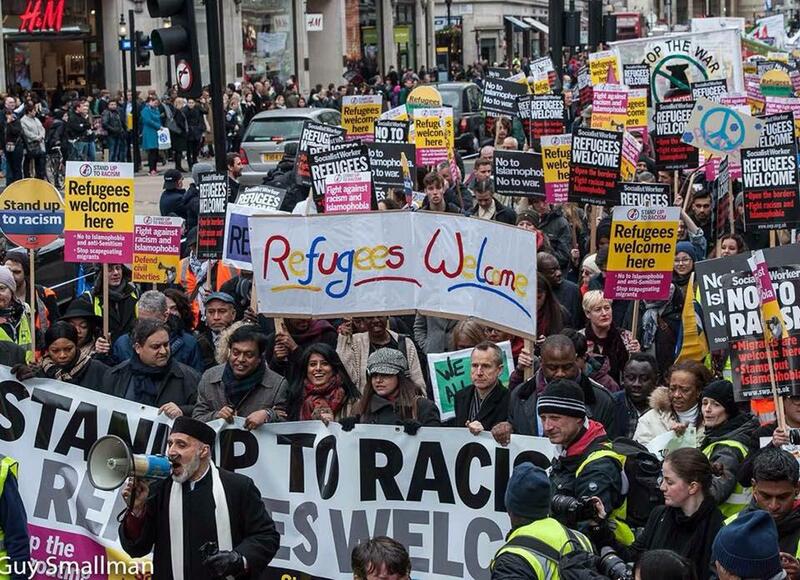 It was kicked off by Sara Tomlinson of Lambeth TUC, who had been involved in the Care for Calais organisation. Teachers from Lambeth had been volunteering at a pop-up school at the refugee camp operated by a courageous refugee activist who has since received the NUT’s “Service to Education” award. The school served around 100 adults and dozens of children. The school provided a vital centre of normality and stability for the refugees and was more than just a place of education (in a sense, this is true of any functioning school!). It was destroyed when the camp was forcibly dispersed in November, and conditions for the refugees are now far worse, as they now live completely rough as fugitives, and risk death to sneak onto literally any vehicle they can. Care for Calais has continued distributing basic aid to refugees, even though this is now far harder, and continues to appeal for support. 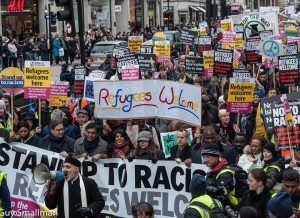 Trade unions are encouraged to help out by sending useful items like sleeping bags to Stand Up to Racism and to get trade unionists to the site to help, as Lambeth teachers have. A very good report from Mile End hospital followed about them organising their own-workplace based solidarity collection. Activists are strongly advised to reproduce these actions at their own work. There was also some good information about things that have been done to help refugees inside Britain. Unite Community in the city of Chesterfield has managed to organise English for Speakers of Other Languages classes for refugees, based on its existing programme to help Eastern European workers learn English. This actually helped build solidarity between the communities and has also resulted in refugees and migrant workers joining the unions at work, which they might otherwise never have had the opportunity to do. The other sessions also got very positive report backs. For people who do not know about Prevent, a very handy pamphlet has been produced to explain it. Essentially an institutionalised programme of getting education workers to report “potentially extremist” behaviour by students, who are almost exclusively Muslims, has created a surreal atmosphere of paranoia and discrimination that would be funny if weren’t so horrible. Young Muslims have been called in for questioning for wearing badges that say “Free Palestine” or mispronouncing words so someone else can think they heard the word “bomb”. Children growing up in such climate can scarcely be said to be free and enjoying their rights: our movement must oppose Prevent, and champion an education that is actively anti-racist. The session on Brexit was also useful, and contained a report back from the new Free Movement of Labour Campaign, which has been invited to send a speaker to Barnet TUC’s AGM next month. Generally, this was a timely and very well organised conference that turned what could be a very bleak few hours into a useful organising event. I would support having another one in future.